Shaira Bhan is a professional dancer, choreographer and teacher. She has been instructing and choreographing for the past 17 years. She has choreographed and performed in various Bollywood films such as Doom, Namaste London, Teen Patti, U, Me, Aur Hum and more. Shaira was the resident Dance Director and Choreographer for Bodylicious, a health and wellness show on NDTV Goodtimes India. She specializes in different dance styles such as Contemporary, Hip Hop, Bollywood, Ballet, Jazz, and Salsa. 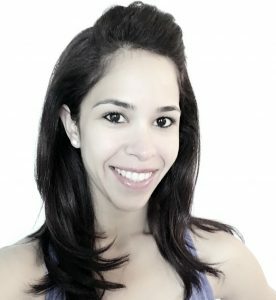 Shaira moved to the Bay Area in 2009 and founded Dance Identity to offer dance and fitness classes to all age groups in a professional, safe and fun environment. Shaira’s passion for dance and choreography and her love to nurture artists is what keeps her in class 7 days a week and her goal is to create a community of thinking, talented and versatile artists. Teen Patti (Serendipity Films), directed by Leena Yadav.